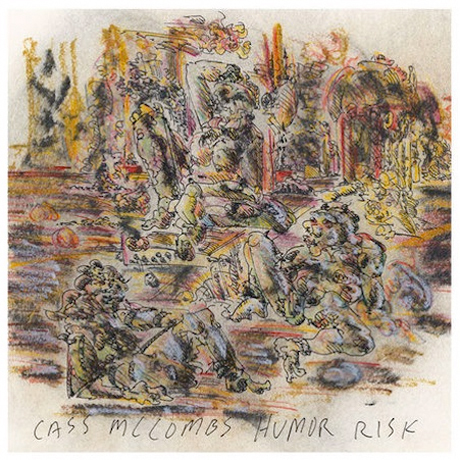 Prolific Baltimore, MD singer-songwriter Cass McCombs beefed up his back catalogue earlier this year with Wit's End, but it seems as if the musician is just bursting at the seams with new tunes. Though his last record was just issued this past April, McCombs will be dropping another full-length this fall. The songwriter will loose Humor Risk November 8 via Domino. The eight-song set was produced by McCombs and Ariel Rechtshaid, who also helped out on Wit's End, and was recorded in various homes and studios in California, New York, New Jersey and Illinois. While the folky Wit's End was a sparse affair, this latest set is said to be more rhythm-based, with tempos "nearly rocking." And even though it's described as "an attempt at laughter instead of confusion," Humor Risk finds McCombs highlighting "the lifestyles and feelings of those that surround him, with more love than judgment." You can listen to hazy rocker "The Same Thing" down below to find out for yourself. 4. "To Every Man His Chimera"
7. "Meet Me At the Mannequin Gallery"